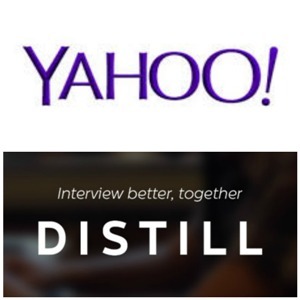 The announcement that Yahoo is acquiring Distill is a reminder to hiring managers and recruiters, regardless of industry, of the value of using technology to insure the success of the hiring process. Work forces continue to expand across international borders making the process of hiring key personnel even more challenging. Qualifying a candidate’s technical skills, as Distill was able to do with the use of technology, is a useful advantage. Our international clients are constantly challenged with these decisions. How do we thoroughly screen candidate’s technical skills as well as language proficiency and cultural/interpersonal fit in a way that assures that they become successful hires? Logically, relying on a recruiting firm with broad access to talent is a key advantage in the recruiting process especially for businesses hiring across borders. Developing rapport with a recruiting firm(s) heightens the potential for a successful hire. Recruiters today are fortunate to be able to use new technology and related tools to qualify candidates from any location. While Yahoo acquired Distill in order to obtain their skills in another area, the technology platform Distill pioneered is a reminder that the successful use of technology in the hiring process can yield a more reliable result for employers seeking new talent.